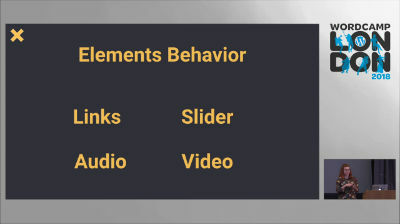 November 26, 2018 — The design of a website can support, but also hinder the accessibility of the site. 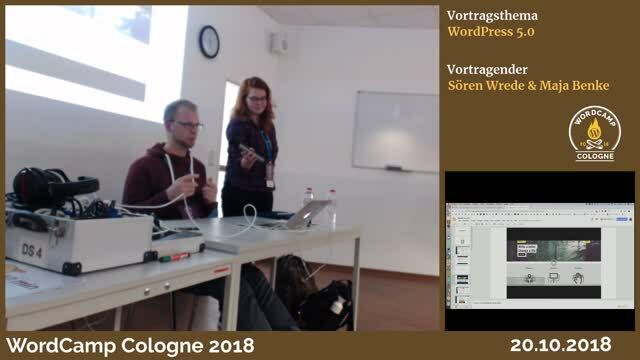 In this talk I would like to show the most common problems in the web in terms of accessible design and give an overview over good practice and also over potential conflicts between different accessible needs and how to deal with that. 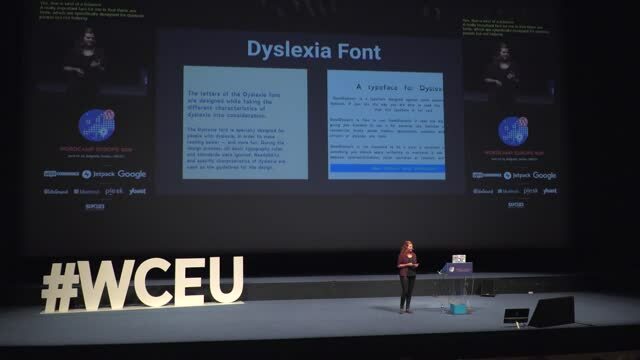 In the talk I will show you tools and resources to that will help you to design accessible websites and also how to integrate accessibility from the beginning into the design process. 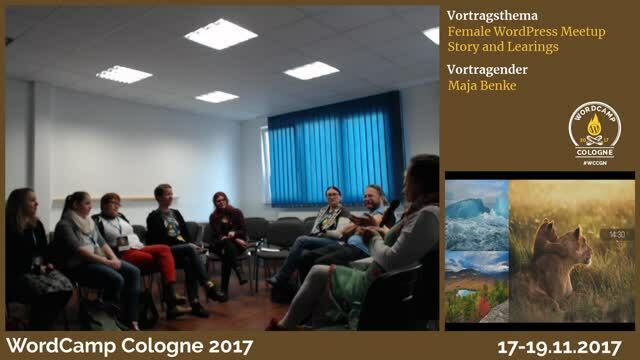 October 29, 2018 — Im Session-Teil (ca. 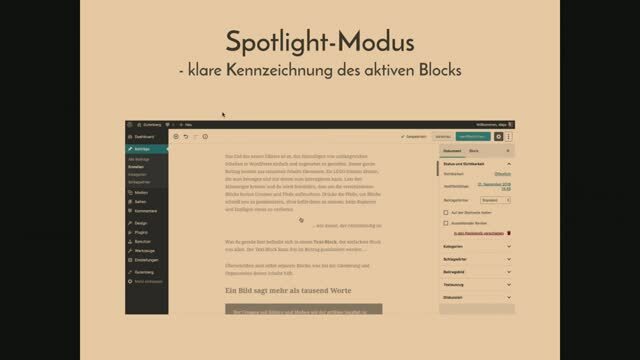 1/3) möchte ich über meine Erfahrungen als Webentwicklerin berichten. Ebenso möchte ich Ideen und meine Einschätzung teilen, die bei dem direkt anschließenden Diskussionspanel (ca. 2/3) gemeinsam mit weiteren Mitgliedern der Community diskutiert werden können. 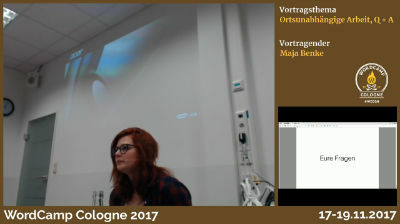 Auch das Publikum darf und soll sich gerne beteiligen. July 5, 2018 — The design of a website can support, but also hinder the accessibility of the site. 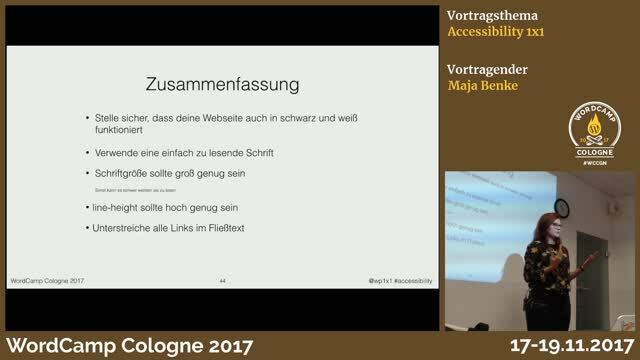 In this taIk I would like to show the most common problems in the web in terms of accessible design and give an overview over good practices and also over potential conflicts between different accessible needs and how to deal with them. February 8, 2018 — The design of a website can support, but also hinder the accessibility of the site. In this taIk Maja will show some examples of good and bad design in terms of accessibility. 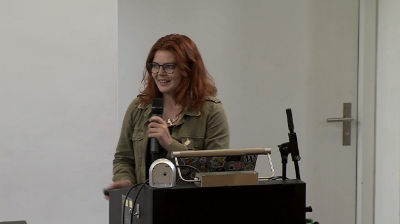 She’ll give tips on how you can make your site more accessible by following some simple design rules and integrating accessibility from the beginning on into your design process. 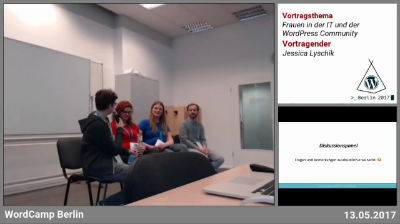 November 30, 2017 — Erfahrungen und Lehren aus der Grüdung eines rein weiblichen WordPress Meetups in Berlin. September 27, 2017 — The design of a website can support, but also hinder the accessibility of the site. In this taIk Maja will show some examples of good and bad design in terms of accessibility. 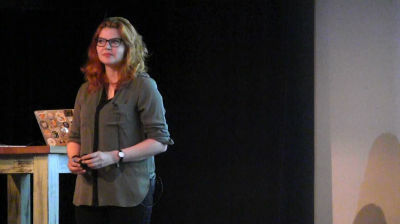 She’ll give tips on how you can make your site more accessible by following some simple design rules and integrating accessibility from the beginning on into your design process.